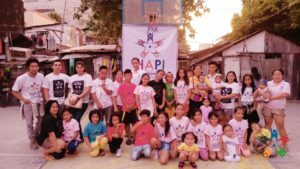 It was a festive and quiet day of November 15, 2017, when the Humanist Alliance Philippines, International initiated a good-grooming-day titled as HAPI Haircut Day for almost a hundred indigent people of Purok 7C, Ilaya Street in Alabang, Muntinlupa City. Some people call this area “home-along-the-riles (home-along-the-rails)” because most homeless people would build their homes in miscellaneous lots along the train tracks. It may be a bit uncomfortable and not very safe but people here live harmoniously with each other. On the way to the site, I took the manual “riles cart (rail cart)” pushed by locals just to make a decent living. A very hard work that many should appreciate. People here are honest, peace-loving, and very cordial, although quite overly populated. I have noticed that they are very happy even with their meager basic necessities. 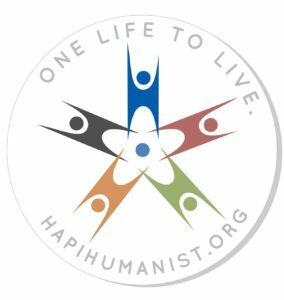 It is indeed a place where humanism can grow and is direly needed. To promote well-being and good-grooming, Humanist Alliance Philippines, International, with the great effort of Jamie Del Rosario Martinez, HAPI Executive Secretary since 2015 and Project Manager, decided to have this HAPI Haircut Day. They had three expert hairdressers and barbers hired to make people look good and neat. People lined up very early to have their free haircut, thus, saving them their hard earned money to be used for more important expenses like food and clothing. Tarpaulins and posters were displayed during HAPI Haircut Day to inform the people about Humanist Alliance Philippines, International and its purpose to educate. HAPI was not there just for the haircut but to feed their minds and tummy. A yummy snack of pancit and fruit juice were served. It was a whole morning of fun and camaraderie among neighbors and friends. It was a satisfying and fun experience, I must admit. 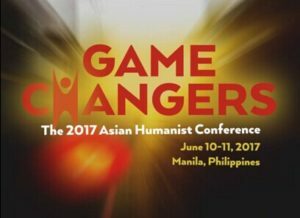 This kind of events like HAPI Haircut Day and others has been in Humanist Alliance Philippines, International since December of 2014 initiated by the HAPI Founder herself, “Miss M”. 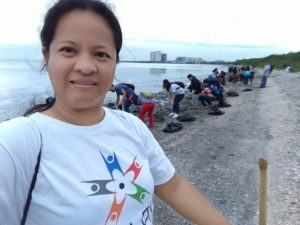 This is her way of sharing her happiness with the marginalized population in the Philippines and Mike Rivero, one of the incorporators of HAPI currently inactive due to personal issues. 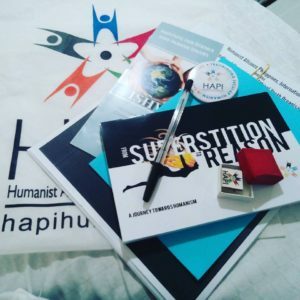 We had HAPI-Kids for fun in the organization’s earlier years but it evolved into something better like HAPI-SHADE (Secular Humanist Advocacy Development Education). 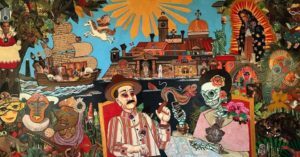 This program is intended to educate the next generations to come for more critical thinking and for these kids to be self-sufficient in the future. Huge thanks to Kuya Jerry, Miss M’s husband of over twenty-one years, for his birthday blowout and to Ms. Elena Allen. 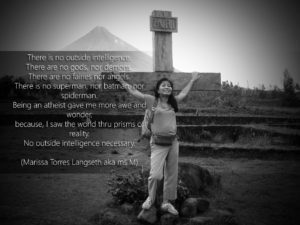 To the generous Miss Marissa Torres Langseth aka Miss M, this project would not have been possible without her support and guidance.